Why Happy Birthday Email is important? 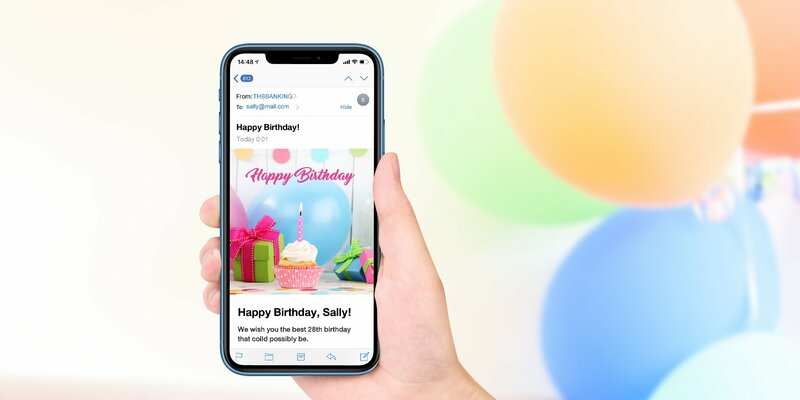 Happy Birthday email campaign is one of the simple most frequent and most effective types of email to send to your subscribers. You can schedule it so it will be automatically sent out to whoever has a birthday on your list. It is important to know how to use the automation tools to create a birthday email that is relevant to the email recipients. It should be precise profiling to engage and build the brand interactivity. Why you should send a birthday email? Birthday emails are good for your business. This will build a good relationship with your customers on a personalized level. According to Experian 481% conversion, 342% higher revenue per message, 197% higher unique clicks. • Reinforce customer — this will make them feel special on their birthday that you remember them with a good offer to take advantage. • Generate conversion — this can encourage unplanned purchase by including a discount coupon, or special product offer. Most e-commerce does this. • Engage active and inactive subscribers — with the personalized offer, the users will be pleased to hear what you offer them on this day or even at least they will be curious to open the email with a promise of a gift. You can start to obtain the information in a legal and ethical way with the consent of the subscribers. Newsletter subscription form — you can add a field requesting this information to receive a gift from you on their birthday. Subscription confirmation page — when you use double-opt-in (this is recommended), you can ask for this information at the subscription page. Check out — when a customer is engaged with your brand and in the check out process, add a field for their birth date. Here are Birthday Emails inspirations that you can follow for your campaign. The best birthday email is short and simple. It should simply say the birthday wished and what is the treat all about. Take gap, for example, it's short and simple to get you a 25% discount. Add a GIF to your birthday email to make it more festive and full of emotions. Birthday’s are gift giving so it’s a good time to offer a discount with free shipping. This can be used online, in-house or redeem it. There is still many online business who are not taking full advantage of the birthday emails and it is not different to set it up. This is a good way of retaining your customers and remembering them on their special day. Remember it is 7 times cheaper to keep a customer Than to acquire a new one. The success lies within two things: data collection (birthdates) and email content (crafting a tempting offer a customer/subscriber cannot resist).